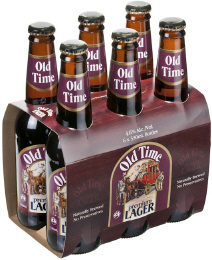 Old Time Premium Lager is now in stores. Ask for it today at your favourite bottle shop. Our beer is fully natural with no added preservatives with a unique taste we think you will really enjoy. We are holding promotions in selected outlets and you now have your chance to taste Australia's finest craft lager. We think you will love the smooth easy drinking taste, a fully flavoursome beer that just gets better as you drink it. Try it today. Check our promotions page or follow us on Twitter or Facebook for the latest information. Check out the stockists page for the latest list of outlets. Come and try Australia's finest craft lager at one of our in-store tastings all around Victoria. Follow us on Facebook or Twitter for the latest information. If your business would like to stock Old Time products please get in touch. We are expanding our retail outlets all the time. We have distribution for retailers through Australian Liquour Marketers (ALM) and you can order now. Our ALM part number is 550440 and is available in NSW, ACT and Victoria. Our new point of sale advertisments are now up in stores. 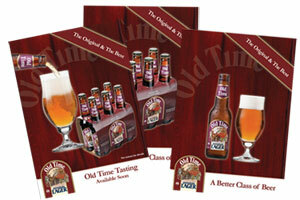 If you are a retailer stocking Old Time products make sure you've got the latest point of sale. Give us a call or drop us an email if you need additional posters or you would like to organise an in store promotion.